The breakfast cereal that used to be known as Sugar Puffs is to be renamed again, this time to Saccharine Shirt Lifters. The cereal was renamed in 2014 to Honey Monster Puffs because they wanted to fool parents into thinking it was filled with sugar. However, retailers felt the new name lost some of the sugary gayness the original name possessed. 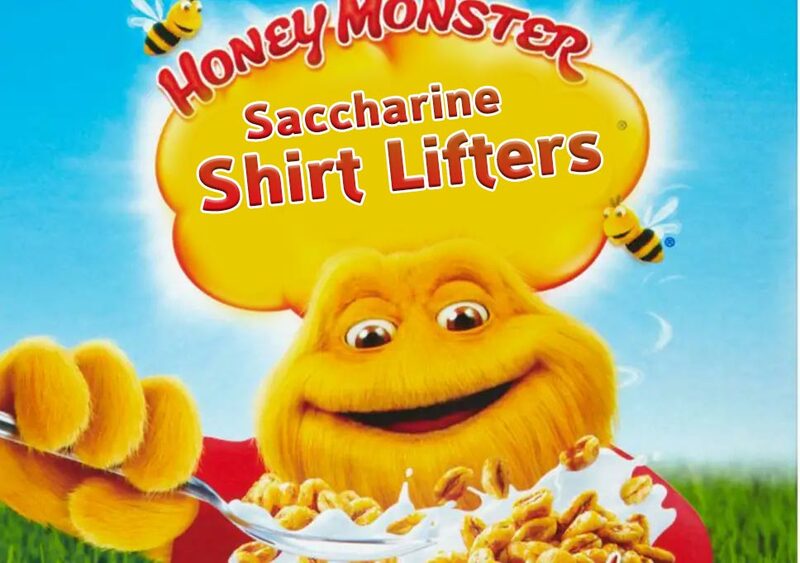 Therefore the decision has been made to rename the breakfast cereal to Saccharine Shirt Lifters, to honour the name’s sugary content and overtly homosexual branding. The announcement of the new name has gone down well with gay rights groups, who believe the new name speaks to them on multiple levels. The new name is great. I’m not sure why all the little puffs still look like fannies though. Packs with the new name will roll out in shops as soon as the current stock has been wound down. Expect The Asdas in Ellesmere Port to have the first shipment this Friday.